So today I'm talking about periods, for some reason this topic is somehow still a little taboo yet as woman we all share this experience month in and month out and I think open dialogue about issues like this is really important as well as supporting your fellow lady especially as everyones experience is a little different. Since having children mine have certainly changed, are heavier, more painful and I find my moods go up and down like a yo yo faster than before and talking to other mothers a similar age to myself (early thirties) they seem to have also seen a different before and after children. Saying that no matter if your a teenager or an adult it's not exactly the most pleasant or convenient time of the month as besides our moods it can often play havoc with our skin, we can feel bloated, it can affect our confidence and the list goes on. So when Pink Parcel got in touch asking if I wanted to touch out their fantastic period subscription boxes not only was I very interested but I was also intrigued. 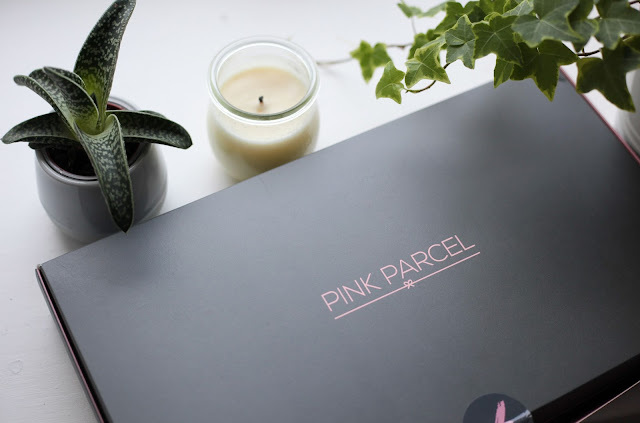 I think if there is any time of the month we need to practise a little self care it's around our menstrual cycle and that is just what the Pink Parcel offers, a little boost just for us as well as covering all your sanitary needs. So what is Pink Parcel exactly? 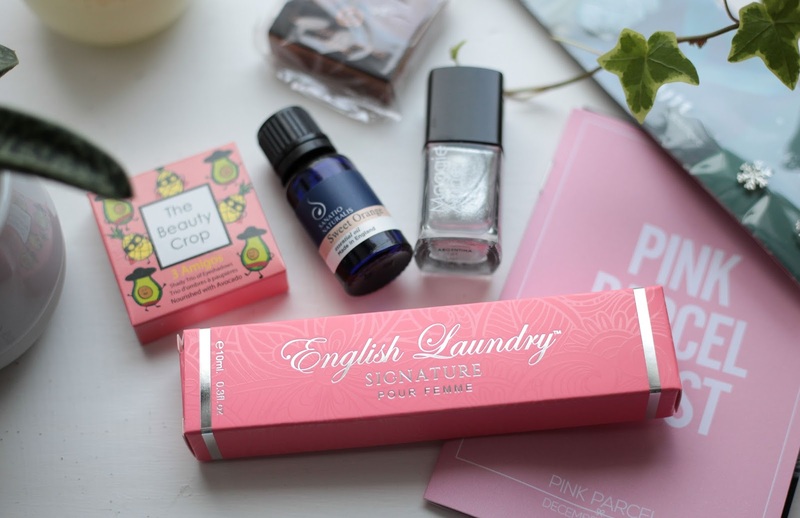 Well it's a period focused subscription box that not only provides your months needs of either towels or tampons but also some luxury beauty, seasonal surprises, herbal teas and artisan chocolates all for £12.99 (although cheaper again if you sign up for 3months+) with free postage. Plus it comes in a completely recyclable cardboard packaging, win! So what did I think of the box? Well firstly you are provided with more than a months supplies of sanitary towels (or tampons) including night time ones and even with a heavy or longer flow your certainly not going to run out. When it came to the treat box I was really impressed, the value on these products is amazing and you certainly get more than what you pay for. At the moment I am debating wether to switch over to a mooncup or reasonable towels but for now this box is excellent and a great way to make sure you always have supplies as well as treating yourself to some fantastic curated products once a month. I really felt this box is good value which cannot be said for all subscription boxes. Also Pink Parcel currently have some limited edition t-shirts on their website in which £5 from each sale is donated to Bloody Good Period - an organisation that supplies period essentials to refugees and asylum seekers, so do check them out. I like the sound and look of this box. Should check it out. My periods have changed since having kids. You're right when you say we should practise a little self love especially during our time of the month! I am a completely different human that week! This little box seems filled to the brim of things to spoil yourself with! It's great to know that you get valuable products from this box.